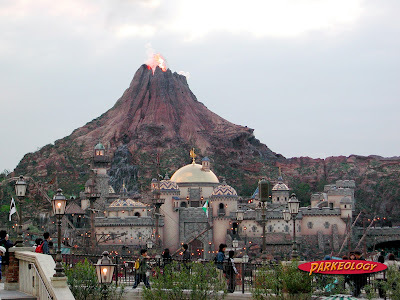 Today we are going to look at the last of the Tokyo Disney Sea Story Cards. Actually I am not sure that these would even technically be considered Story cards. Unlike the previous pieces we looked at all five of these cards are available right out in the open, no need to either ask for them or simply look like a confused and lost foreigner. No, these are displayed right at the entrance to the Fortress Explorations. Photos have a hard time giving this thing justice. The fortress is really an amazing accomplishment for a theme park, and something I honestly think could only exist in Japan. As we have discussed other times we have looked at the Tokyo parks the Japanese as a culture are very respectful. They respect each other and they respect property, therefore they tend not to scratch things, try to break things off, steal things, write on things, put gum on things, spit on things, urinate on things, climb over things to get to other things and then spit, urinate or worse on said things. No, the Japanese are more than happy to file past exhibits and displays and leave them as intact as they found them. 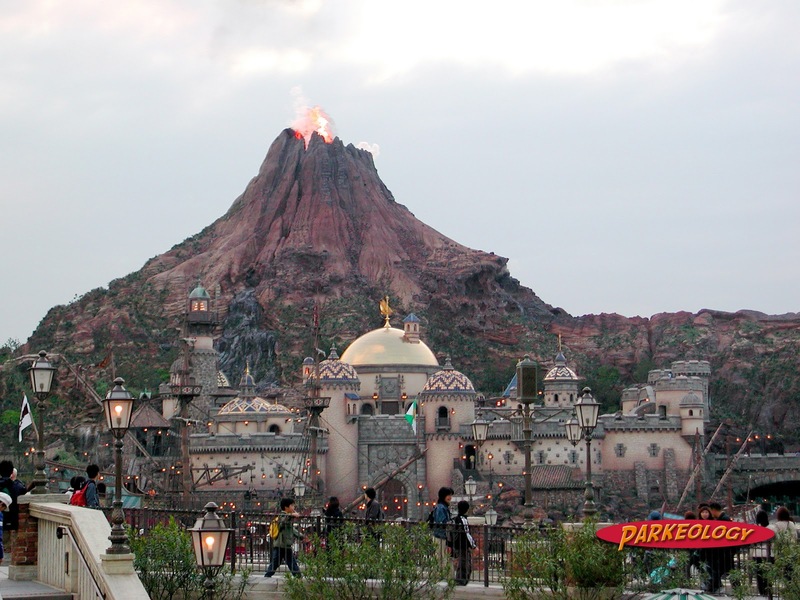 Because of the nature of the people the designers in Tokyo are free to create very intricate and elaborate attractions with little fear of them being destroyed by guests, it is a win-win situation for all involved. So when creating the Fortress Imagineers not only designed a very cool centerpiece for the park visually, but unlike the Castle in the Magic Kingdom they fully fleshed out the interior as well. The fortress is full of chambers and hands on exhibits that range from the artistic to the physical. It appeals to pretty much any age group, but it is also complex. 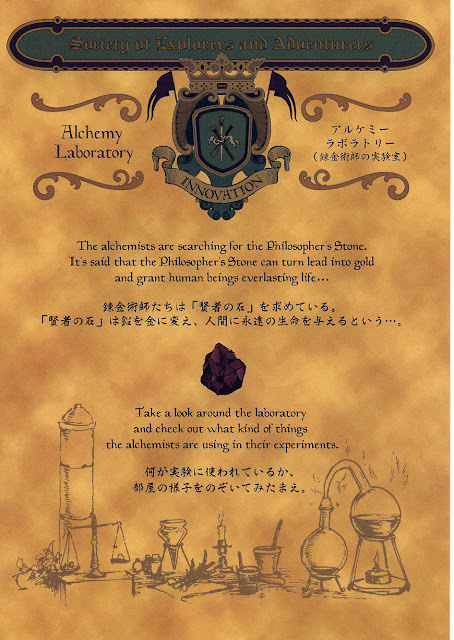 In this case there is a sort of master card, a small pamphlet that is printed on parchment like paper and unfolds to reveal a really cool map of the complex. This gives you a basic overview of the place, fills you in on some history and helps you get your bearings. 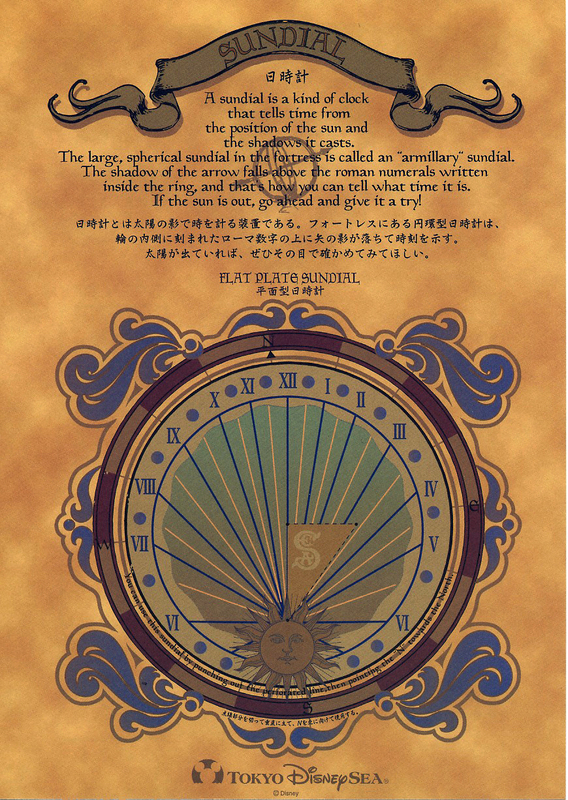 It also introduces the concept of the S.E.A. 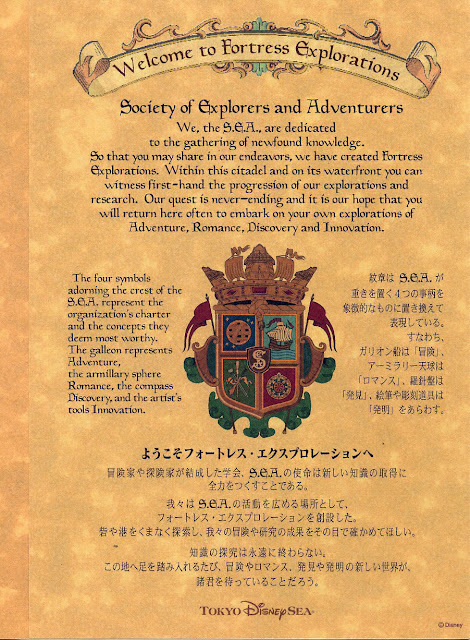 No, not the sea as in the ocean but rather the Society of Explorers and Adventures… oh those witty writers. The S.E.A. is a group of world hopping explorers, adventurers, scientists and artists but S.E.A.S.A. was not as catchy. Imagine the Adventurers Club from Pleasure Island times a thousand and you get the basic idea. 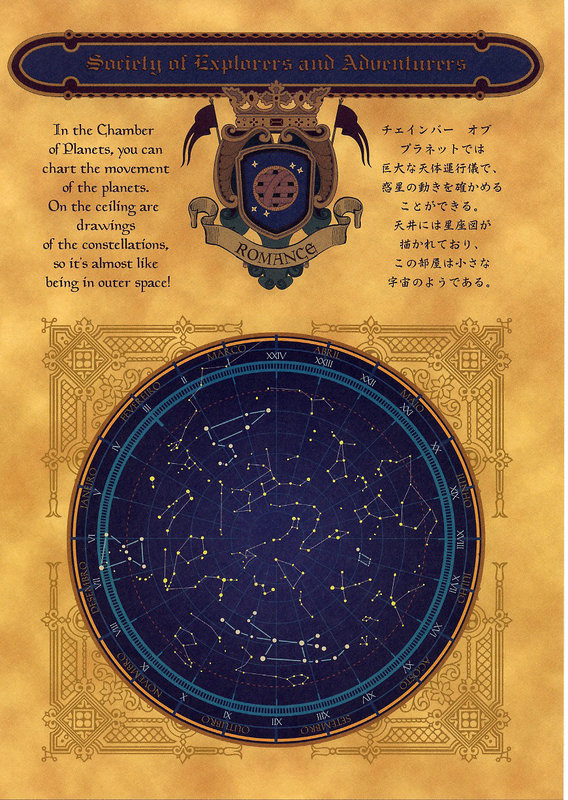 They have a cool crest and that crest is made up of four distinct symbols. 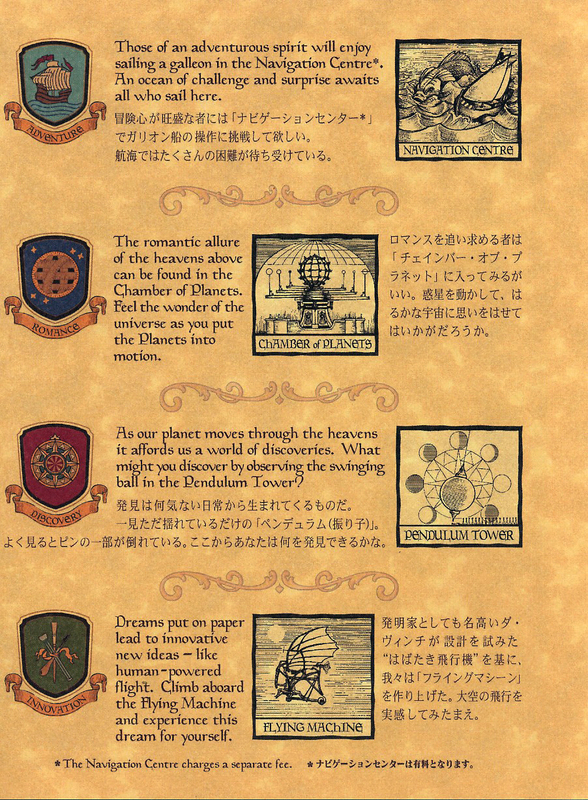 Each of those symbols in turn has it’s own story card and little task to complete. You have to click me baby… do it! These cards are more like those we have looked at previously they are dual sided, single page cards. Each one details a different aspect of the experience. 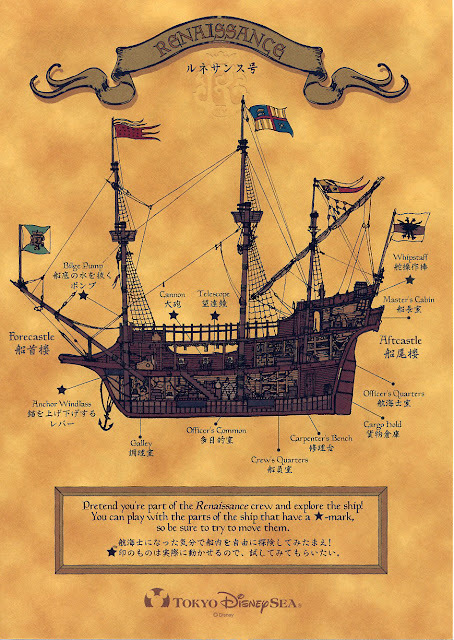 The first is Adventure as represented by the galleon docked out front. 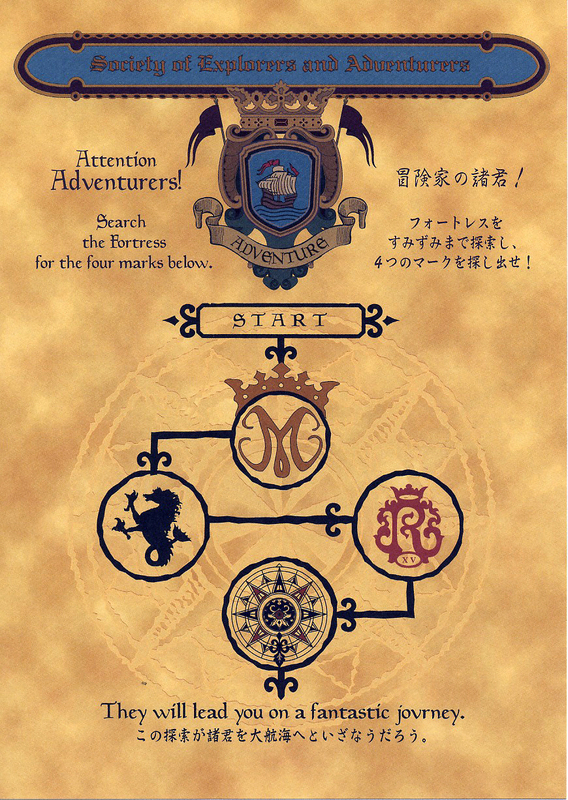 The card has a map of the ship which is it’s own mini attraction and has a scavenger hunt of sorts for guests to partake in. Next comes Romance, here is where a sort of generic “good looking” guy in a soap opera sort of way presents desperate woman with roses while pretending that he is not a scum bag… wait, that’s the Bachelor. In this case Romance means the Chamber of Planets and a full on massive orrery (a mechanical model of the solar system) in a beautiful planetarium. 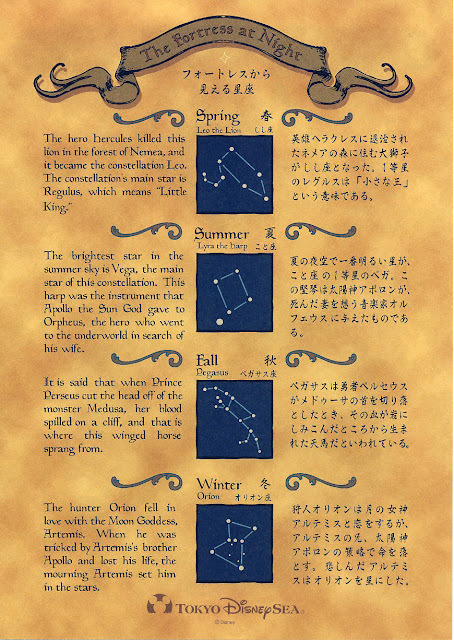 We move on to Discovery as the compass symbolizes. This card leads guests through parts of the fortress in search of a sundial and then teaches them how to use it. Finally we come to Innovation, NOT Innoventions thank goodness as we will find no out-dated computer exhibits, poorly realized trade show booths or 8 bit video games on display. 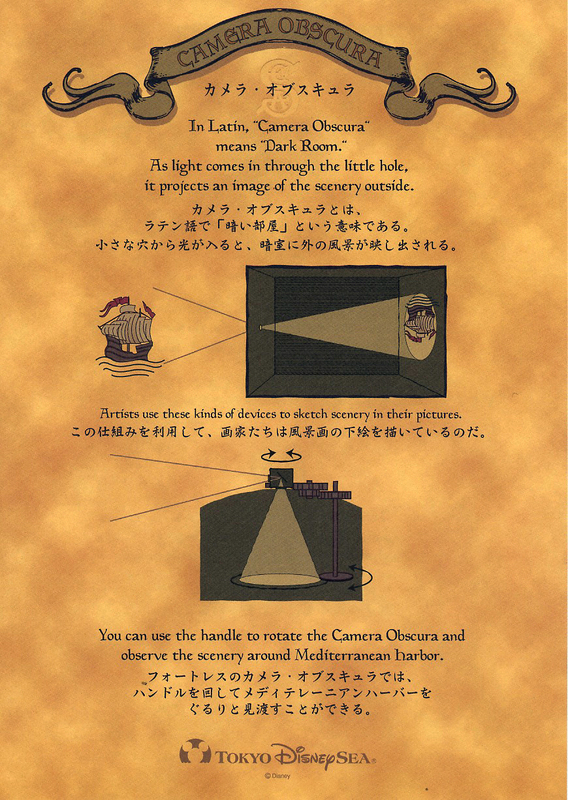 Rather we are led through labs and eventually to a large-scale camera obscura, which in essence puts you in the inside a camera. Everything about both the attraction and the cards are impeccably well done. The craftsmanship is out of the world; the cards are wonderfully illustrated and printed. It does not end there. Japanese speakers can participate in Leonardo’s Challenge that is an interactive adventure along the lines of Kim Possible in Epcot. Here you will also find the high end restaurant Magellan’s that serves classic European fare in a magnificent setting under a massive 2 story illuminated globe. There is nothing like the Fortress Explorations in any other park. 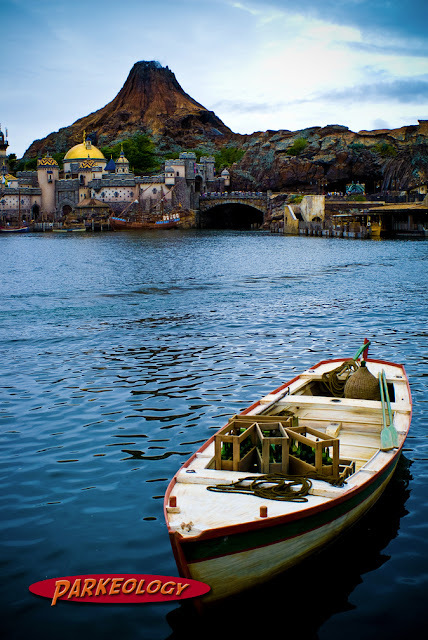 One could possibly relate it to Tom Sawyer Island but that is a little like comparing a Bentley to a Yugo… same basic concept but executed on a massively different level. So you have seen the cards and a few photos… but lets take a better look at the Fortress Explorations. 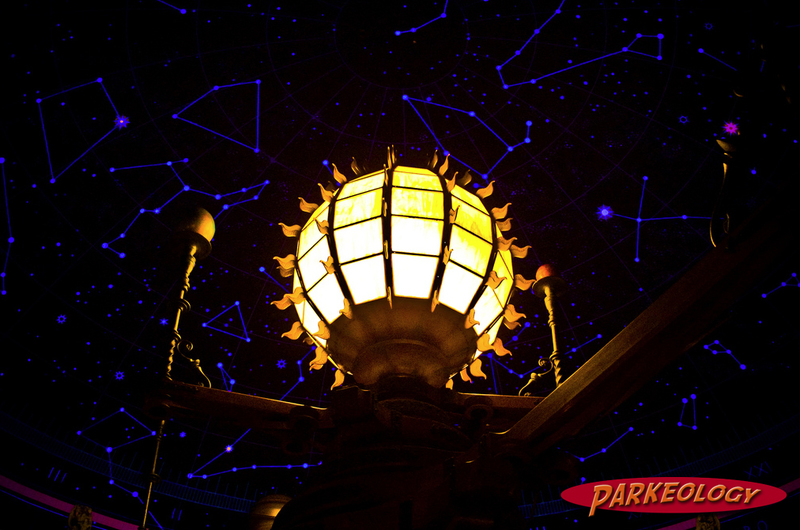 Here is an exclusive Parkeology video tour of the Fortress. 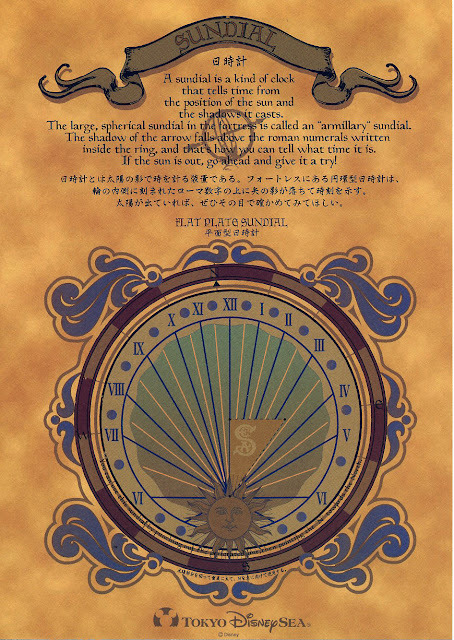 Lets not forget why we started these posts to begin with… as a way to say thank you to the Japanese and to let everyone know that we are thinking of them. The earthquake and related events are unimaginably difficult and we all hope and know that they will get through it. This entry was posted in Disney Theme Park Hidden Secrets and tagged story cards, Tokyo Disney Sea. Bookmark the permalink. Well of course Shane, but that is not a fair comparison. I mean the Redwood Challenge is one of the greatest achievements in the Disney cannon… com on. 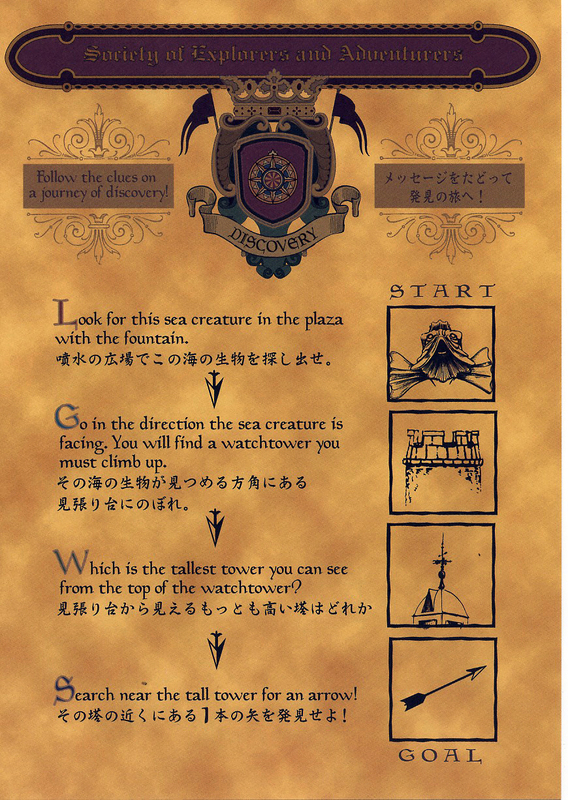 A Scavenger Hunt through the Fortress sounds amazing. And I will agree that this looks far better than Tom Sawyer Island. However, it does not hold a candle to DCA’s Redwood Challenge. 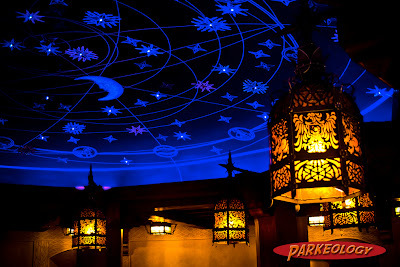 It’s one of the coolest theme park environments I have ever been in. In fact parts of it seem to have influenced parts of the queue for the Harry Potter ride at Universal. You could spend a long time just wandering through this place. A super video! 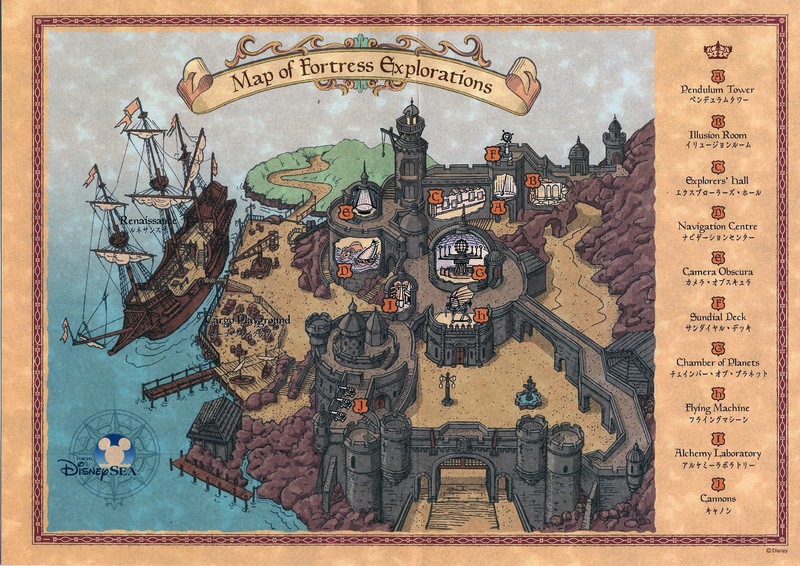 Fortress Explorations seems like a truly fantastic experience.